In the UK, Debenhams has a top five market share in womenswear and menswear and a top ten share in childrenswear. It is a market leader in premium health and beauty. 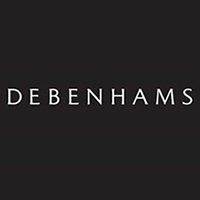 Debenhams has been investing in British design for 20 years through its exclusive Designers at Debenhams portfolio of brands. Current designers include Abigail Ahern, Ted Baker, Jeff Banks, Jasper Conran, Giles Deacon, FrostFrench, Patrick Grant, Henry Holland, Betty Jackson, Ben de Lisi, Julien Macdonald, Savannah Miller, Jenny Packham, Stephen Jones, Todd Lynn, Preen, Janet Reger, John Rocha, Ashley Thomas, Eric Van Peterson and Matthew Williamson.